The history of this brand reaches 1934. 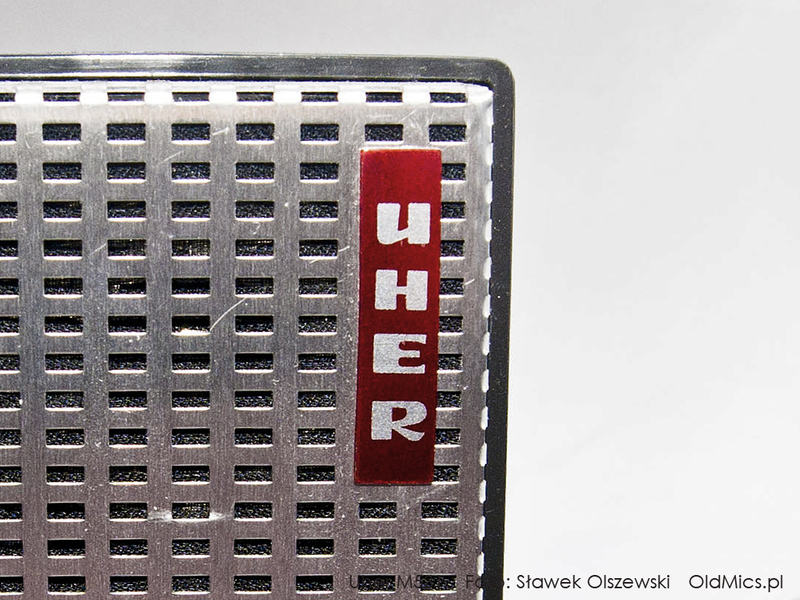 The company started under the name Uher & Co., it was founded by a hungarian enterpreneur and inventor, Edmond Uher. He specialised in bulding precise mechanical parts. 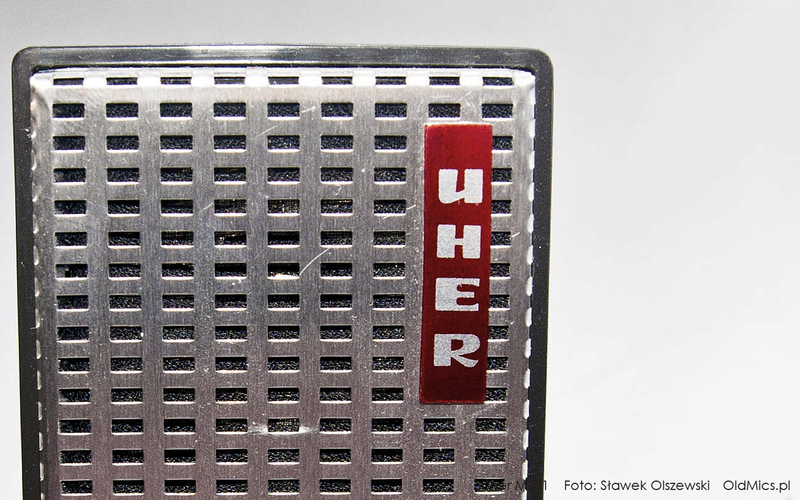 The name Uher Werke Mü nchen appeared in 1953. 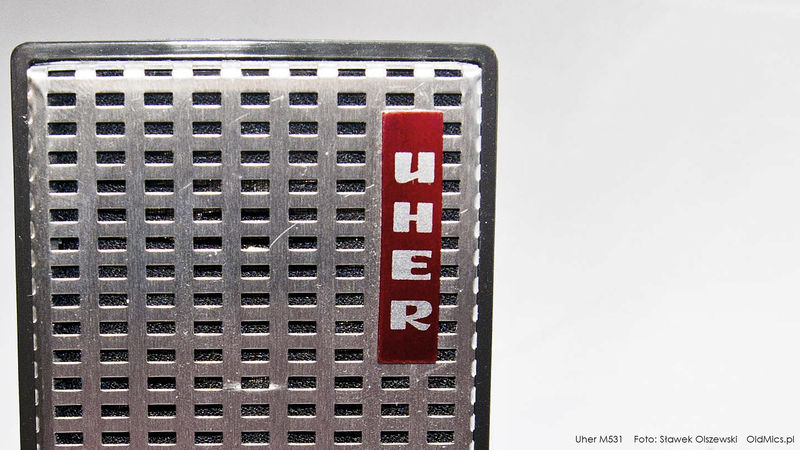 In the company's golden years, Uher employed around 2.000 people, but didn't handle the competition's financial pression at the beginning of 1980s. In 1996 the company has been divided. It was finally sold in 2013. Most of all, Uher manufactured top quality tape recorders and dictaphones. Their reel-to-reel contructions, especially journalistic Uher 4000, competed even with the best audio equipment in the world. The microphones were usually add-ons to the Uher's tape recorders. The most famous models were M534 and M539. 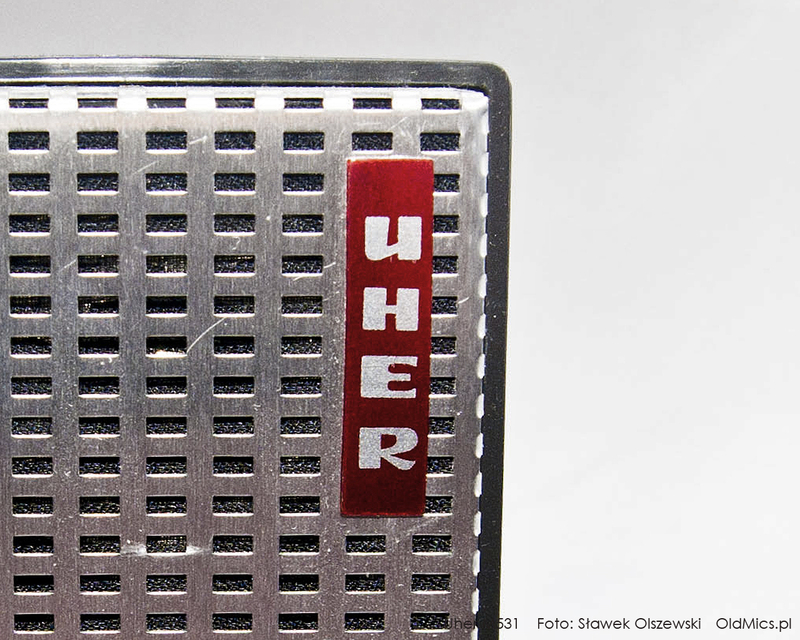 A very rare model by Uher. Made of plastic, fairly solid with a fold-out plastic support. An untypical jumper at the back of the plastic body for selecting resistance. The last letters of the model name, D9, may suggest some affinity with Telefunken and Labor. The cable ends in a 3-pin DIN plug. The twin brother of the AKG microphone with the same designation. The cable with a 3-pin DIN connector at the end. At the bottom part, there is a socket which allows for installing it on a tripod. There is a speech/music switch at the back. A simple plastic dynamic microphone manufactured in the years 1968-1976. A short and delicate cable with a 3-pin DIN connector. Comes with a wire base. Our microphone is in the collector condition. Probably Uher 534’s predecessor. A great dynamic microphone with a unique and interesting sound. Highly recommended for recordings. A voice/music switch at the back of the plastic body. A wire support and a stand hole. A cable with a 3-pin DIN plug. One of the most commended microphones made by this company. A real legend by Uher, which can be bought for a fairly modest sum. Suitable for recording percussion, in particular cymbals. Great design with a solid metal body. Features a voice/music switch. Mounted on a metal tripod. The cable ends in a DIN plug. An interesting stereophonic construction by a well-known brand. The craftsmanship is not overwhelming this time. The microphone is wholly made of plastic, is very light and supported by a delicate wire tripod. The cable has a five-pin DIN connector. It is possible to unfold both parts horizontally which makes it possible to adjust the width of the stereo base.